Revlon Volume Galore Shampoo * 32 oz. Shampoo: Revlon Volume Galore Shampoo * 32 oz. 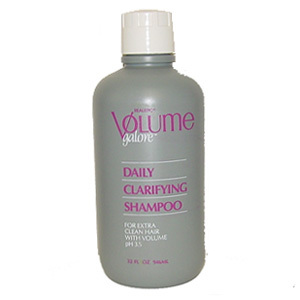 Volume Galore Shampoo * 32 oz. Daily Clarifying Shampoo is the first step to perfectly beautiful hair. it is specially formulated for gently remove styling product build-up, chlorine, and hard water impurities that leave hair dull. Prepares hair for all styling or any salon service. Will not strip hair color or relax permanent waves. A hint of super light conditioners revives hair and makes it come alive with loads of body and bounce...without weighing it down. It's so gentile, it can be used everyday, on every client.